On Friday, 21 December 2018, prominent civic, political and religious leaders across Southern California lauded the efforts of the Ahmadiyya Muslim Jamaat in USA during its 33rd West Coast Jalsa Salana at Baitul Hameed Mosque in Chino, California. More than 2,000 delegates, including 220 guests, took part in a special session to discuss ways to establish peace. 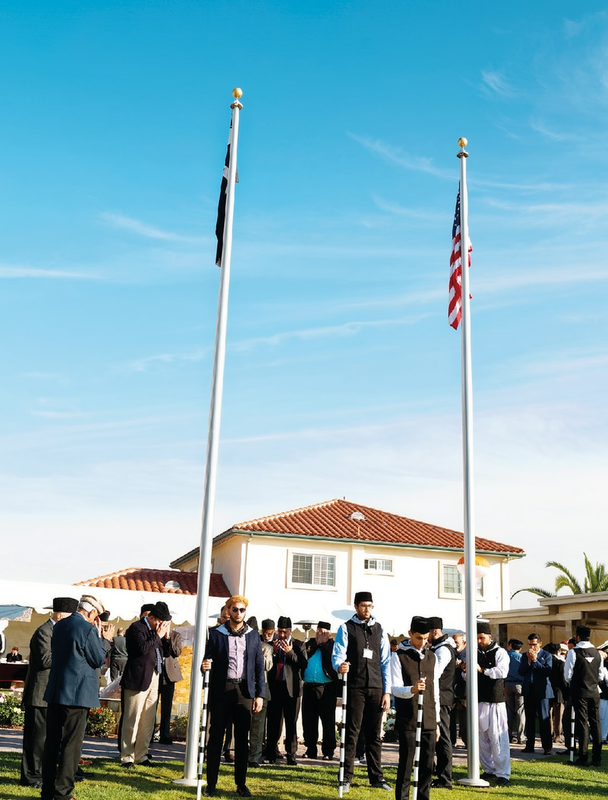 The special event kicked off the weekend convention that saw members of the Ahmadiyya Muslim Jamaat from several western states, as well as Canada and Europe, convene in Chino. The gathering featured various speeches on social and religious topics for men, women and children. Mayors from the cities of Chino and Pomona, alongside local police chiefs, voiced their deep appreciation for the Jamaat’s efforts to unite faith communities across southern California. They were joined by prominent faith leaders from the San Bernardino Diocese, Presbyterian, Lutheran, Jewish and Buddhist communities, as well as local academics from University of La Verne and Chaffey College. As is customary in all Jalsas around the world, food was served to the guests throughout the course of the event with a special marquee being put up for seniors. A tent was installed in the basketball court where dinner was served to guests. The weather overall was excellent and the event was hailed a success. Alhamdolillah.